As a major Ebola outbreak spreads in eastern Democratic Republic of Congo (DRC), Samaritan’s Purse remains at work on the front lines. 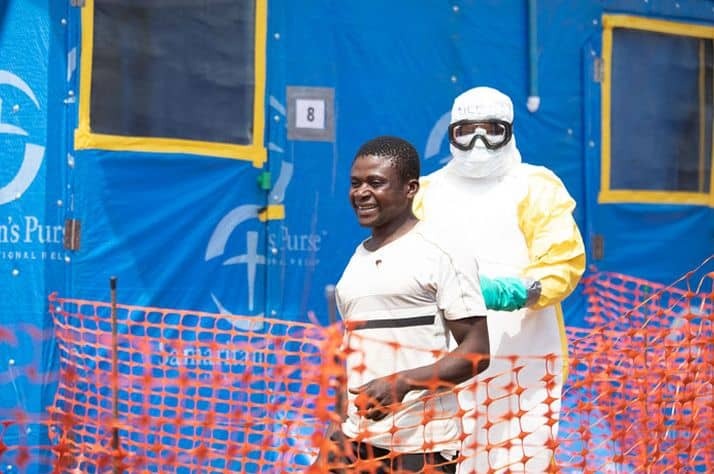 Our doctors, nurses, water sanitation and hygiene specialists and other essential staff are operating a newly established 18-bed Ebola Treatment Center in the remote area of Komanda. “I am very happy to get into the family of Christ,” Kavoro said as he received a new Bible. Please pray for those suffering from Ebola in the DRC and for the Samaritan’s Purse team as they stand ready to combat the horrific disease.